Use these vocabulary cards with the EL Support Lesson: Parts of a Drama. 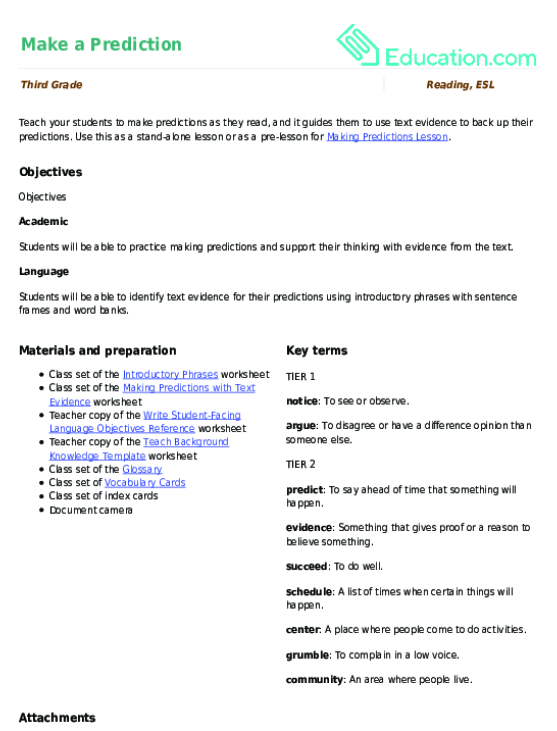 Use these vocabulary cards with the EL Support Lesson: Evidence as a Statement. Teach an important and often comical historical lesson with a prediction game that teaches youngsters about the fallibility of word-of-mouth talk.